TOKYO NATIONAL MUSEUM - Collections The TNM Collection Object List Square dish. Design of poet watching wild geese in underglaze iron brown. >> Square dish. Design of poet watching wild geese in underglaze iron brown. Square dish. 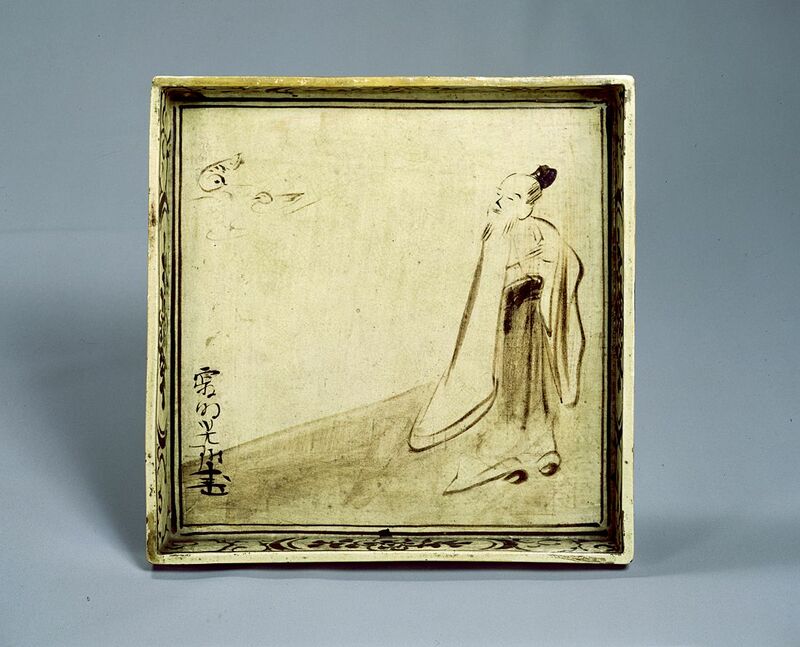 Design of poet watching wild geese in underglaze iron brown. By Ogata Korin (1658-1716) and Shinsei (1663-1743).